Happy Weekend! Did you all get your Christmas decorations up? We're still working on ours but in the meantime I decided to jump in and join Bonnie Hunter's mystery quilt along. These were the fabrics I shared on IG. I took out the purples and added blues instead. 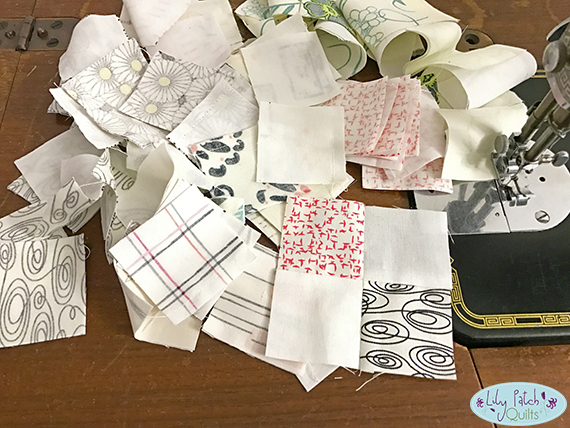 As I was cutting the neutral fabrics into manageable strips I was starting to feel a tinge of regret because it takes a lot of time to cut scraps. After I finished cutting what I had I started to feel like it wasn't enough. 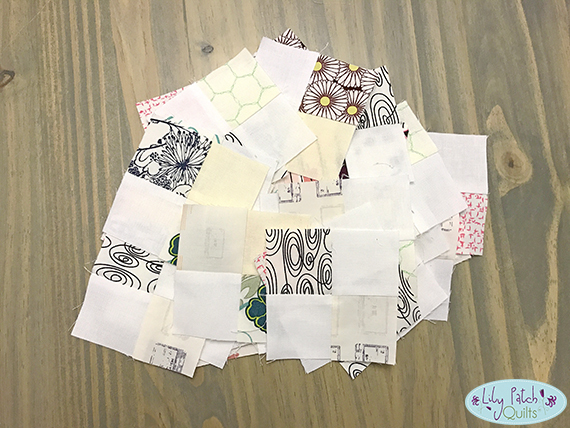 I just pressed on and started sewing the squares and strips together to make my tiny four patches. There was a minor delay in sewing because I wanted to use my vintage sewing machine but there was a glitch and the foot pedal didn't work after I cleaned the machine. Hubby had to figure out how to fix it. Thanks to You Tube he figured out the problem so I was able to sew. 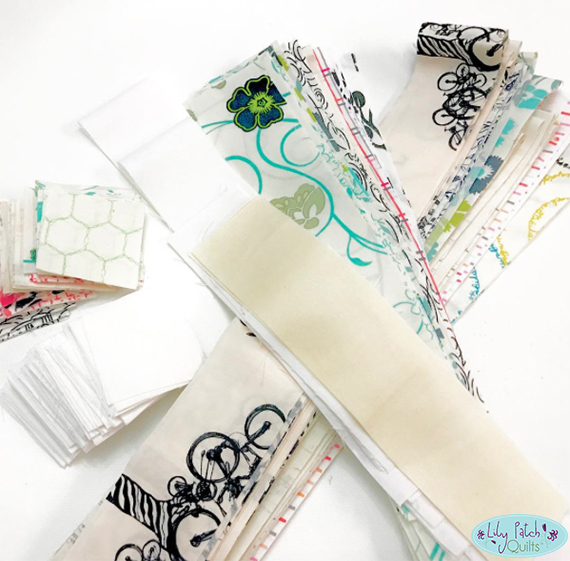 I hope you'll be able to squeeze in some sewing time this weekend. Have a wonderful weekend! That's the thing about vintage machines, they are a lot easier to fix than modern machines. It does take a lot of scraps for those 4 patches. Mine are done and mostly tone on tones with a few bees and blueberries thrown in. My Maine(main) fabrics are mostly blueberries so wanted to tone down the neutrals. We were camping this past weekend so I am just now getting caught up on my blog reading / commenting. I am not participating in Bonnie's mystery quilt but I am following to see what everyone is doing. I am thrilled that you are using your vintage machine for this project. I should find a project for one of my vintage machines. That sounds like fun.